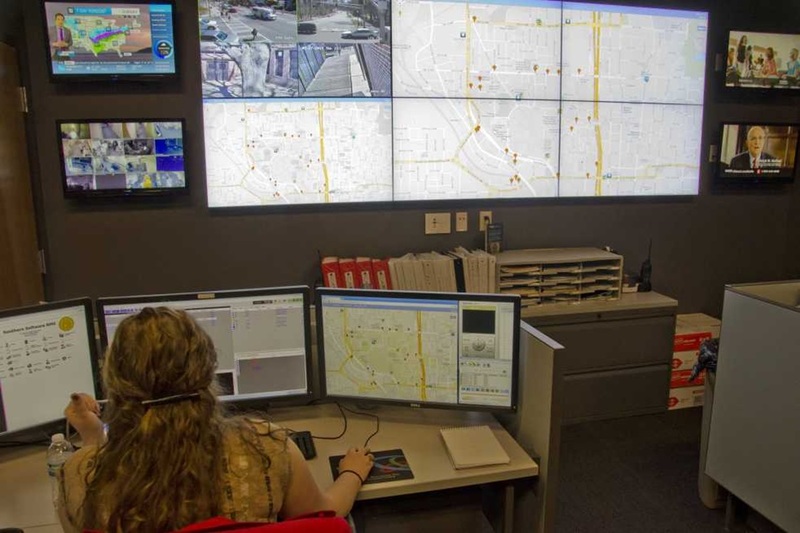 The GTPD Operations Center is operated under the Emergency Preparedness Division and is staffed with civilian Communications (Dispatch) Officers and student Video Specialists . Communications Officers are Georgia POST certified and serve as a vital support network, acting as emergency liaison between the public and sworn police officers. They receive, categorize, and monitor calls, emails, and texts, dispatch officers, and research license plate numbers, warrant statuses and background information on suspects. They also respond to non-emergency calls for information. The student Video Specialists utilize camera technology to ensure officer safety during traffic stops and provide video support to criminal investigations.